"When I was seven I told my father that I wanted to grow up to be invisible." "Rachel Harper's fierce debut is a tender, passionate, and moving read. A clear window onto a world rarely seen in contemporary fiction." "A mature, intelligent, eloquent, lyrical, insightful work. All the elements of fine writing." 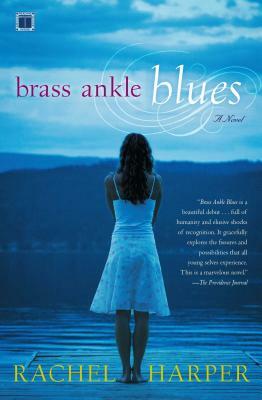 "Brass Ankle Blues is a beautiful debut...full of humanity and elusive shocks of recognition. It gracefully explores the fissures and possibilities that all young selves experience. This is a marvelous novel."